Do you have any news, reviews, articles, vacancies or training opportunities to share in the Summer newsletter? Since our last quarterly newsletter we are delighted to welcome the following 23 new members. If you haven't already renewed yet for 2016 this is the month to do it! Accounts that have not been renewed by the end of March will lapse. Individual membership is available for the low price of $75. Student and retired members continue to benefit from free membership. An additional supplement is payable by all members for a print subscription to Cryobiology. To renew visit our membership renewal page. Cryobiology is one of the top 3 most saved on Mendeley! We are constantly developing new ways to help you gain greater insights into academic research. We want to show you how Mendeley is a great way to discover and share research findings. 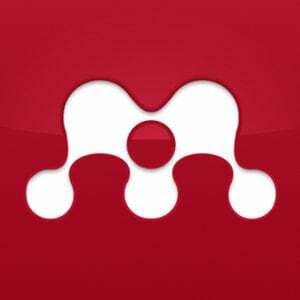 Mendeley is a free reference manager and academic social network. It will help you to make your own fully-searchable library in seconds, cite as you write, and read and annotate your PDFs on any device. New functionality including suggest, stats and profiles have recently been added. Mendeley shows you readership demographics including the locations, degree levels and disciplines of individuals who have saved an article. It also will suggest related articles and collaborators for you to discover. As an example, we have located the top saved Cryobiology articles on Mendeley for 2015. Take a look for yourself to find out why they are so interesting to read and share! Take a tour of Mendeley to learn more. As a Canadian, I am anxiously awaiting the arrival of spring and the warm weather that it brings. Often, the spring season is a time of optimism, where we are energized by the opportunities that summer activities and events with family and friends will bring . It is also a time where many of us begin the annual ritual of spring cleaning - clearing out the house or office of all of those things that tend to accumulate over a winter. Spring gives us the opportunity to look forward to the year ahead and ask those important questions - Where am I going? What are my goals for this year? The Executive and Board of Governors of the Society are experiencing this Spring-like optimism and excitement for the year ahead. With our recent election, we welcome new members to the Executive and the Board. I would like to welcome Dr. Dayong Gao as our new incoming President-Elect and Dr. 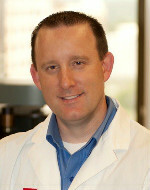 Rob Ben as a new member of the Board of Governors. At the same time, I would like to acknowledge and thank Drs. John Crowe and Tiantian Zhang for their long service to the Board and to the Society. The renewal of our Board membership brings new energy and ideas that we hope to put to good use in the months to come. At the end of 2015, the Board was presented with the results of a strategic review that was undertaken by our Executive Director, Dr. Ed Kordoski. This document provided a candid assessment of the challenges and opportunities that face the Society in the years ahead. As we work through the document to develop a five-year strategic plan and an annual plan for 2016, we are faced with many important questions around our future as a Society and where we are going as a scientific discipline. Over the next few months the Board will be working diligently to develop a renewed vision for our Society that we will be excited to share with you at our Annual General Meeting in July. A part of our “Spring cleanup” has been the long recognized need for our Society to review and update our Bylaws and operating procedures as they no longer reflect modern practices. With the assistance of an external Parliamentarian, the Board is discussing and drafting new bylaws that maintain the traditions of our Society but enable modern business and governance practices. When a draft document is available, it will be circulated to all members for review and comment before a final version comes to the full membership for ratification. Through these two activities, development of a strategic plan, and redrafting of our bylaws, the Society will be answering very important questions: Who are we as an organization? What are our goals and aspirations? How do we get there? These are very important questions for our Society and I invite all of you to get involved in the conversation. Please contact myself ([email protected]), or any of the members of the Executive and the Board to share with us your views, perspectives and opinions. I very much look forward to hearing from you. I would like to acknowledge all of the enormous work that is underway planning for our CRYO2016 Annual Meeting in Ottawa, Canada (July 24-27). The conference will be held at the majestic Fairmont Chateau Laurier and will offer attendees a stimulating scientific program and an exciting social program. Ottawa is a fantastic city to visit, so I would encourage you to plan to spend some time before or after the conference exploring Canada’s National Capital region. Please make this one of your planned scientific events for 2016! In the spirit of renewal that comes each Spring, I ask you to consider getting involved with the important discussions and activities that we will be undertaken this year as a Society. We need your input and active involvement in this process if we are to be successful in our collective mission to promote cryobiology research, improve our scientific understanding and to disseminate our knowledge for the benefit of mankind. Due to unfortunate circumstances a joint annual meeting this year with the Organ Preservation Alliance (OPA) fell through at the last minute and put us all behind with development and implementation of this year’s annual meeting. Luckily our President, Jason Acker and newly elected Governor, Robert (Rob) Ben immediately stepped forward to take on the challenge and plan CRYO2016 for July 24 – 27, 2016 in Ottawa, Canada. Ottawa is a great location for the meeting and offers plenty of exciting things to do and places to visit for family and friends too! You may even decide to take a few extra days of vacation to explore all it has to offer. They have been doing a great job in developing both a fantastic scientific program and social events. I have been involved with all the logistical phases of the meeting. This has been a real challenge because of the nonexistence of a library of essential planning documents that should be used year to year for every annual meeting. That library should consist of documents such as a premier on how to plan a complete annual meeting; key requirements and dates for the hotel room block, meeting rooms, and food and beverage needs; AV requirements; template request for proposals (RFPs) for sending to the hotel, AV companies, potential gala/banquet locations, DJ or band representatives; pro-forma budgets; an exhibitor and sponsor prospectus; a contact list/spreadsheet of potential exhibitors and sponsors; etc., etc. I am happy to state that all these documents have been/are being written and will be kept for future use in a library archive. I am also happy to tell you that the 2017 annual meeting next year is already being developed and is planned for Hefei, China. Hefei is the capital and largest city of Anhui Province in Eastern China with a population of 1.7 million and has many things to do and places to visit. One essential planning document we need is a “living” list or spreadsheet of potential exhibitors and sponsors. On February 25th our President asked for your help in a special email to all members to build a database of companies and suppliers that provide products and services to our profession. So far I have received less than 5 responses and a list of less than 20 companies. Please take a few minutes’ time to help support your Society and the annual meeting by emailing me a list of your current cryobiology suppliers of products or services. The list should include: Company or Institute Name; Contact Name(s) – First and Last; Contact Email; and Contact Phone Number. You can send it to me at [email protected]. This is very important and we really need your help! A reminder that if you have not already done so, this is the time to renew your 2016 SfC membership. Your membership gives you an electronic subscription to the Cryobiology journal, zero page charges when publishing in Cryobiology, reduced registration fees to the annual conference, the quarterly SfC newsletter, access to the searchable online membership directory and member's area of the website, the right to sponsor new member applications, and the right to participate in Society governance by voting and holding office. These benefits far outweigh the minimal cost of membership. I have stated before that personally as a scientist I feel it is my duty to support my professional society and the science that provides my livelihood and I continue to do so. I hope you feel the same about cryobiology and will renew your 2016 SfC membership now during this time of tremendous activity in the Society. Hope to see you all at CRYO2016 in Ottawa! Join your colleagues from around the world at CRYO2016, July 24 – 27 in Ottawa Canada. Go to the meeting website and register now to take advantage of the discounted Early Bird meeting rate! Share and discover cutting edge research in the field of cryobiology, make and renew contacts with colleagues from around the world, and meet with our exhibitors and sponsors to learn how their companies can aid your research. Each day’s program will begin with a special topic plenary session, followed by an address by an invited speaker. Afternoons consist of parallel symposia covering complementary cryobiological themes, followed by evening social events including the welcome reception, poster sessions, and the capstone gala/banquet. 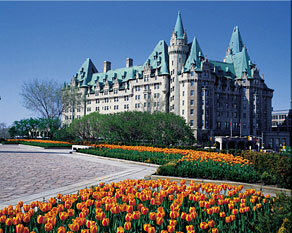 The venue for this year’s conference is the renowned Fairmont Château Laurier, located in the heart of downtown Ottawa located close to all the city has to offer. Your family and friends will have plenty to do during the conference and you may even decide to stay longer. Visit The CRYO2016 Website now to register! The Student Awards Program promotes the participation of students in scientific research and the dissemination of knowledge in cryobiology, and improves scientific exchange and communication for young international cryobiology researchers. All awards are restricted to current student members of the Society for Cryobiology. The deadline to submit your application form for all awards is March 31, 2016. Please note you will also need to submit an abbreviated version of your abstract (<300 words) through the regular abstract submission channel by May 13, 2016 or your abstract will not appear in the conference book or Cryobiology. Students planning on attending and presenting at CRYO2016 in Ottawa, Canada are encouraged to apply for assistance with travel related expenses. Awards are generally made in the amount of $500-750 USD. However, exact award amounts depend on your geographical location and are at the discretion of the Student Awards Committee. A student may not apply for the travel award if two awards have been previously received. The John K. Critser Award offers travel and expense support in the amount of $1500 USD for the top ranked student extended abstract. Based on their extended abstracts, the top four applicants will present their work in a special session during CRYO2016. 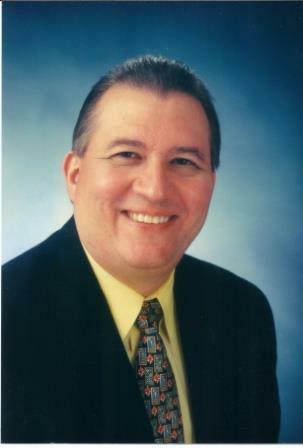 Being selected for this session is an honor and the top presentation from this session will be awarded the Peter L. Steponkus Crystal Award Plaque and an honorarium of $1000 USD. If you would like to enter the student poster competition please indicate this when you submit your abbreviated abstract through the CRYO016 website and the Ex Ordo hyperlink by May 13, 2016. The best student poster will be awarded an honorarium of $500 USD. Please note that due to tax laws governing the Society for Cryobiology, all students who will receive honorariums from the Society for Cryobiology will be asked to complete an information form for U.S. tax purposes. 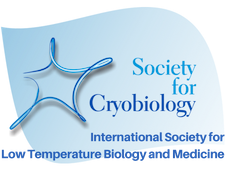 The Society established the category of Fellows in 2005 to recognize individuals who have had an exemplary impact on the field of cryobiology. Each Fellow is awarded the prestigious medal of CryoFellow. Its purpose is to raise the profile of the Society, as well as the individual elected, to a wider scientific audience. The individual shall be living at the time that he or she is nominated. The Fellow Committee is now inviting nominations of worthy individuals to be elected into this position of honor. CryoFellows are awarded this prominent status in recognition of: scientific impact of their research on cryobiology (50%); sustained nature of that impact (20%); generation of scientific offspring (20%); and service to the Society (10%). There is no formal application form on which to make the nomination, but the documents you provide the Committee should be of sufficient depth to support the candidate’s contributions to the categories mentioned above in a clear and demonstrable way. Usually this will mean inclusion with the nomination of: (1) supporting letters from members of the Society or other major contributors to cryobiology (including one from the nominator) and (2) a detailed resume for the nominee. It is suggested you contact the proposed CryoFellow to discuss their nomination before proceeding and to obtain the resume from the nominee. If there is someone you would like to nominate please email the completed nomination materials to Jason Acker, President and Chair Cryo-Fellows Nominating Committee at [email protected] by March 31 2016.